Some of the forms included (like registration, booking, comment submission forms, etc.) may require extra scripts and/or database functionality. 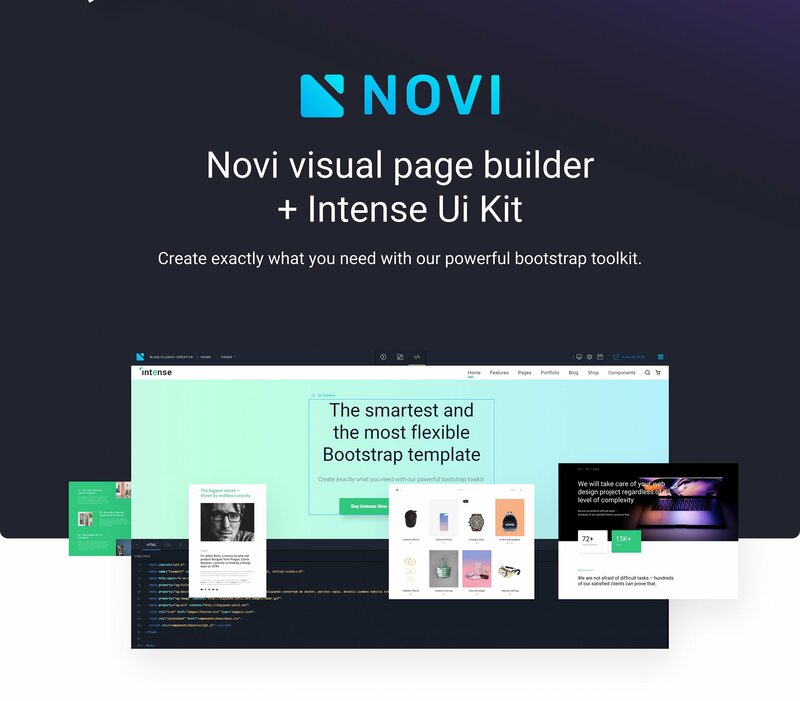 Live server or localhost software is required for proper template and Novi Builder functionality. 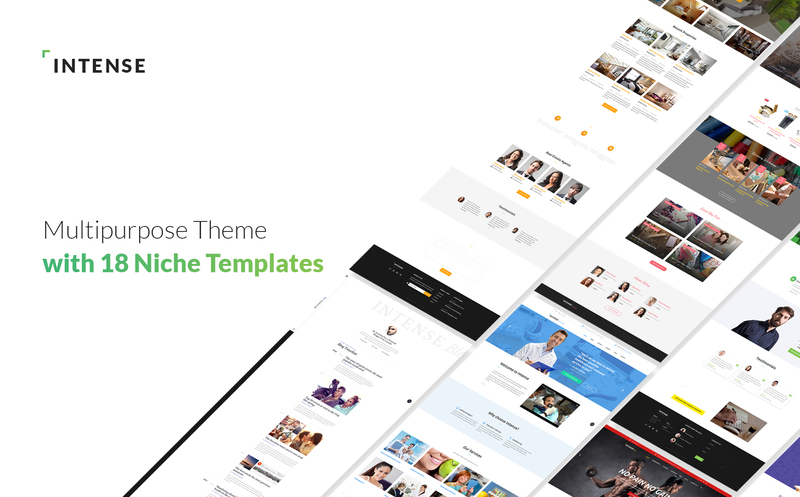 Template is quite complete and give you great flexibility to create your own website. Having said that it works quite slow and has a few annoyances in trying to replace stuff, but overall great template for a very reasonable price. I am mostly reviewing the product subtemplate. 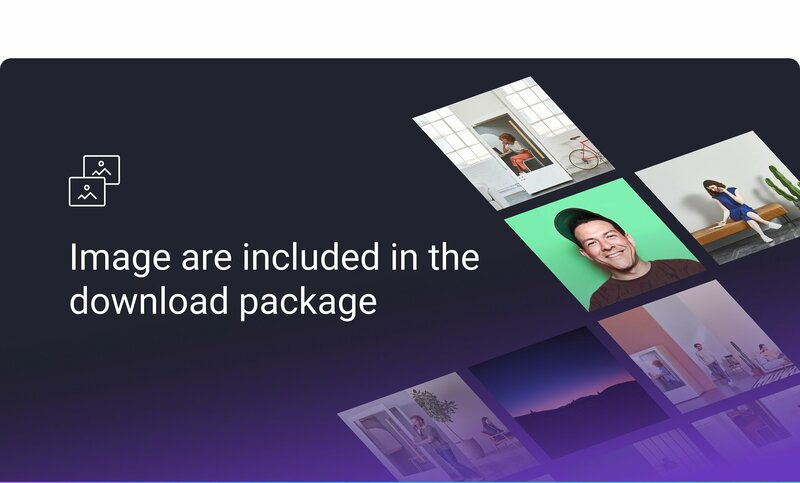 The subtemplate is great BUT you need to be careful if you&#039;d like to use it with a custom background image for the first section. I found it incredibly hard to find another background image that worked in that intro section because of the font colors. The grey makes that task really hard because with most images the font isn&#039;t readable anymore. Also, there is no real styling for forms. Expect them to look horrible without further design work. Apart from that, it&#039;s a nice template. Great Template everything and more than I thought. It took a few hours to figure it out but it was worth the investment. Bought the hosting package and was also very impressed their support is outstanding. Had a few problems in the template feature configuration racked my brain and then..... used the template monster support where voila .. complete simple tutorials. USE SUPPORT TUTORIALS! this will save you a ton of time F- Youtube this is where you get info. Good job on this template and support guys! 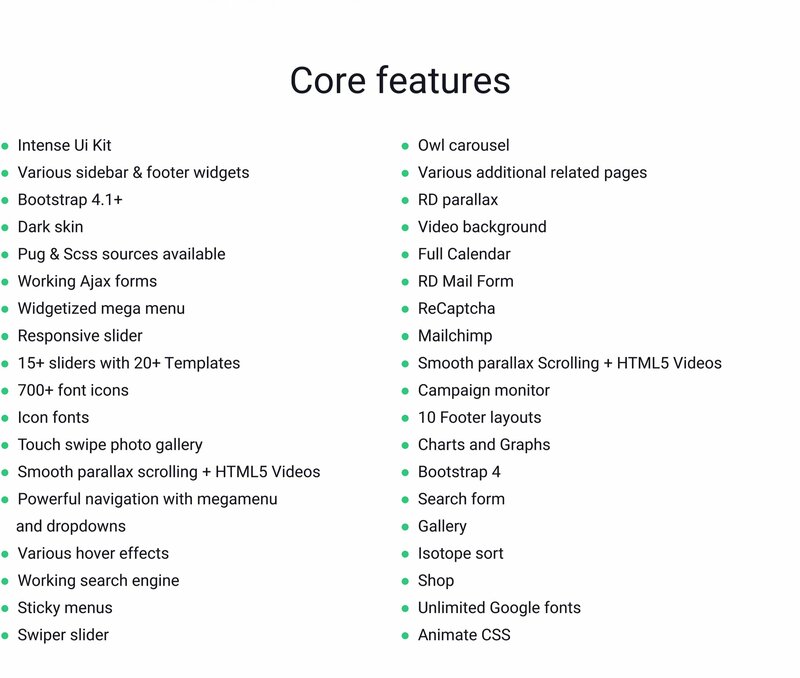 Love the templates, only drawback in my opinion is the lack of documentation. Other than that it is pretty great including lots of JS code that can help on any project. I give this Template 4.5 Stars. If you add a history/undo function in Novi builder it will get 5 stars. Awesome work! Amazing product with many many website examples, designs, and links. Perfect Universal Template i recommend everyone. You can build lot of sites. Great product. And also helpful. We can convert all body to some other views just as we like. I have a problem with navi builder. All headers (navbars) don&#039;t stick to the top when creating a new project. Also I wonder if exporting the project minifies JS (deletes unused parts of code) ? Hi there, we are very interested in this template. Does it include the SASS code? If it doesn&#039;t, would you sell it for a price? On the demo &#039;coming soon&#039; page, there is this cool mouse hover effect, how can i use this effect on a section of my website? Hi, I&#039;m using &#039;form wizard&#039;, i put &#039;select input&#039; in it but &#039;change event&#039; isn&#039;t working. Please help immediately. Hi I need help. Just downloaded and unzip. Tried to run the Navi Builder index.html file but nothing happens. Just white screen. The Date-Time Picker doesn&#039;t allow me to select past dates. What should I do if I need the costumer to enter his DOB or any such date of past? I request the developers to reach out to me with a solution. I would like the slider on the home page to automatically go to the next slide (without user interaction). I have tried adding data-autoplay=&amp;quot;true&amp;quot; to the img and to the li element but that doesn&amp;#x27;t seem to work. This seems like basic functionality that should be supported but I&amp;#x27;m not sure how to have it start? I just want to cycle through the slides automatically after the ken burns effect completes Thanks. this is themes not supported safari browser ? - New: Minor bug fixes. - Fixed: Issue with photoswipe controls. 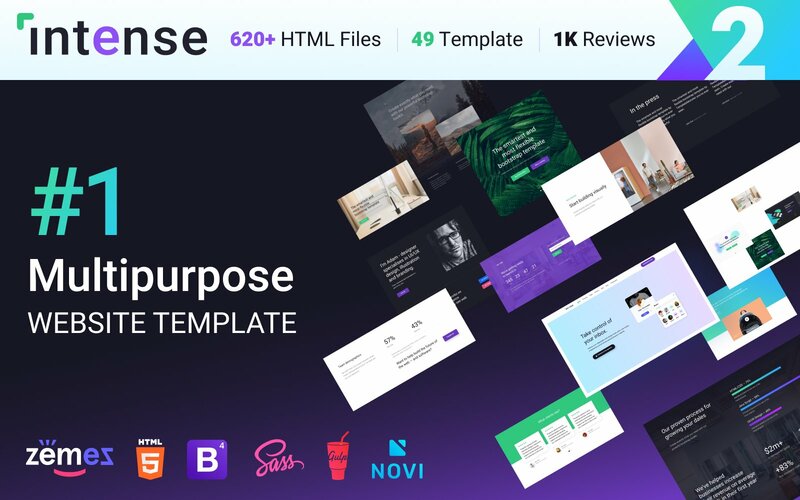 - Email Template. Now, you can use a responsive template for email marketing campaigns. With its help, recipients will be able to view your letters via portable devices. It matches Intense visual style and is compatible with MailChimp. Facebook Issue. Facebook options were brought back in order after the network's API change. - Job Board Child Theme. Promote recruitment services with a new child theme of Intense. For easier search, job seekers can use keywords, specify the necessary location, and filter vacancies by categories. Commercial Skin. 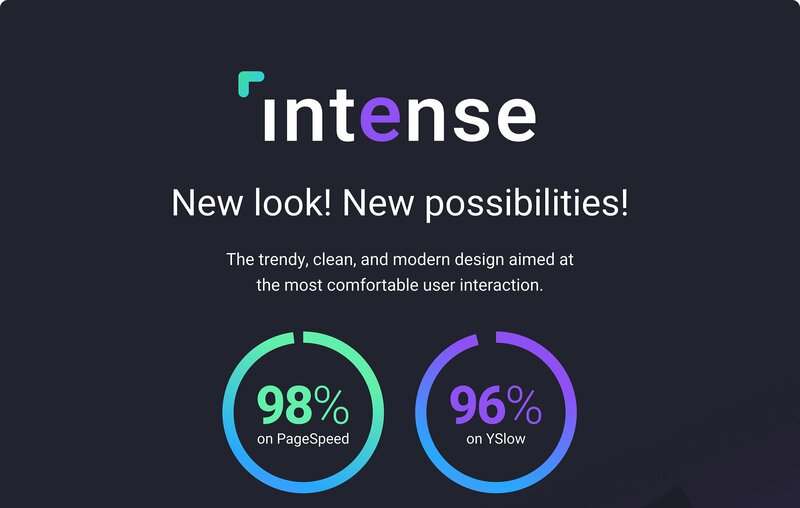 The updated package of Intense has a solution for people involved in trading. The skin makes skilful use of new offer boxes, testimonials' slider, search by both keywords and categories, and more. 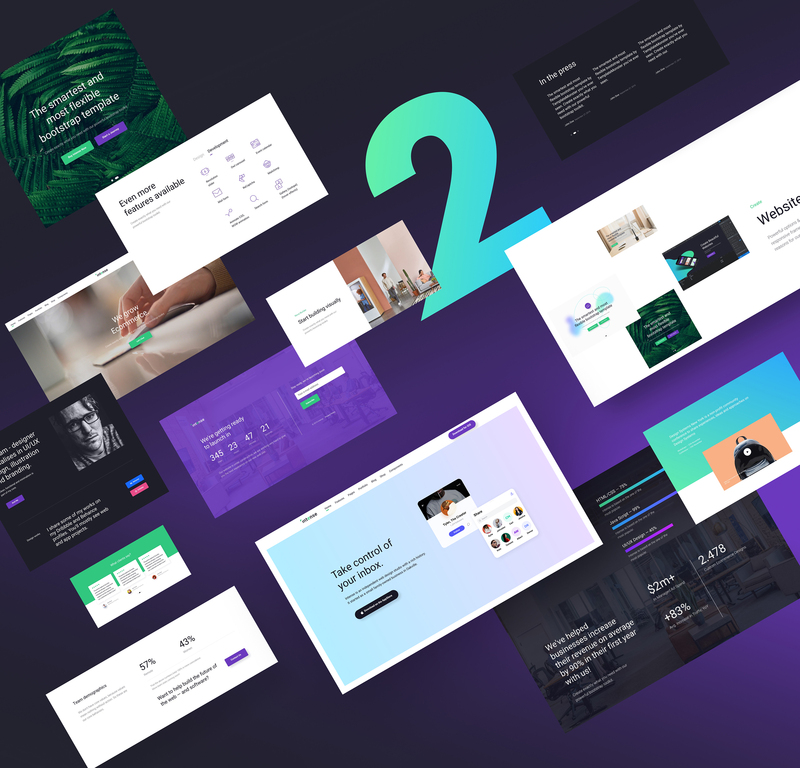 - Home Intro Landing Page. Meet and greet your prospects with a conversion-oriented landing page. Its elaborate design makes use of clear, concise info and brings your message into focus. 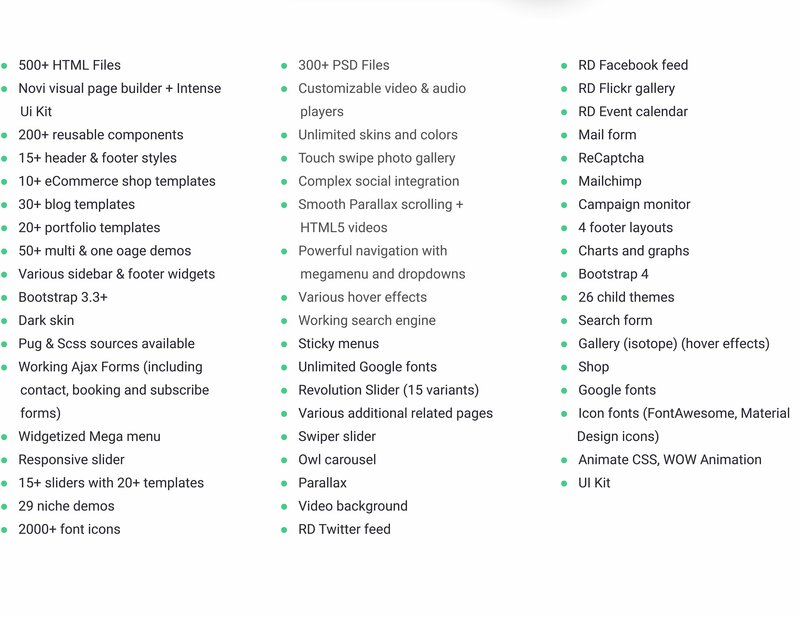 - Full-Screen Portfolio Layout. Now, designers, photographers, and other artists can show off their works in elegant tiles. 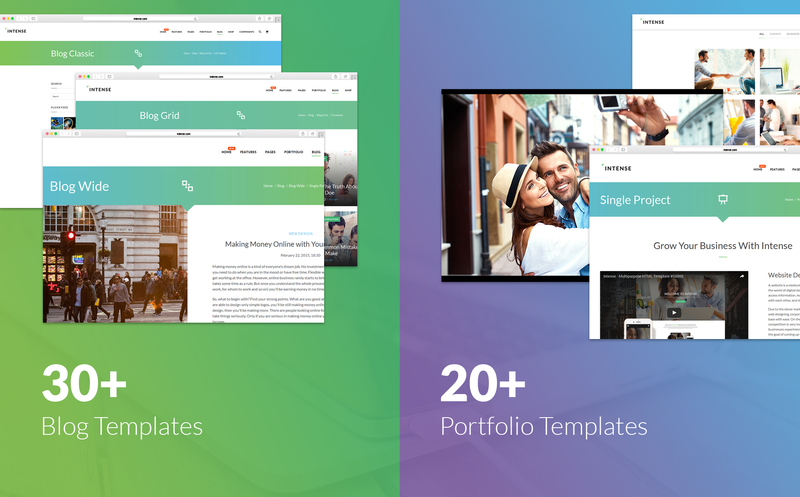 For easier browsing, this portfolio type features sorting and quick view options. - Google reCAPTCHA. Secure your site against spammers with reCAPTCHA. Instead of solving a CAPTCHA, users can confirm they are real humans with a single click. - Charts and Graphs. Visualize your data to make it easier for readers to digest. You can use elements of 25+ types, from a line chart with a submenu to column graph with a filter. - Under Construction Page. 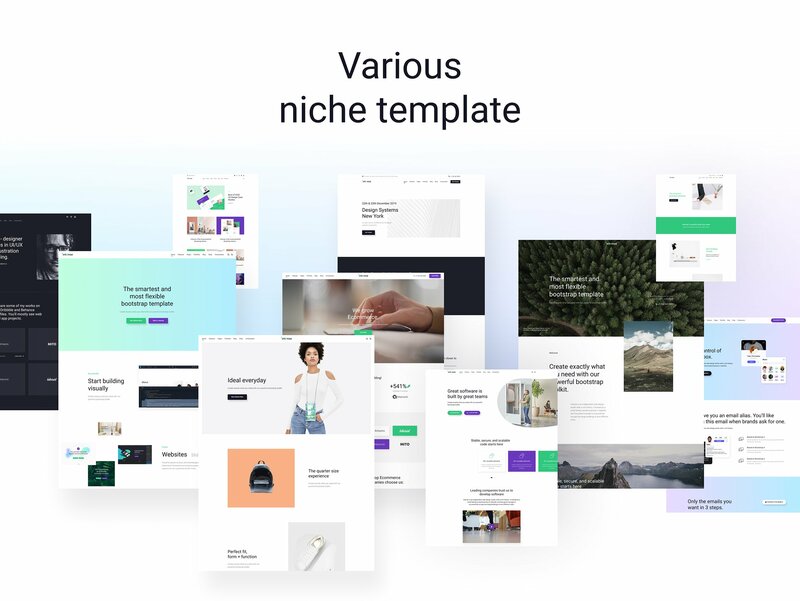 This skillfully animated and patterned template is meant to inform the audience about working on your website launch or redesign. It features a countdown timer to show how much time is left until the launch and a subscription form to let visitors get a notification. - About Us Page Variation 2. Use this version to introduce your company, show current vacancies, and motivate people to join your team. - Team Member Page Variation 2. Improve the information value of your team member page with this template. It allows you to add certificates, highlight your achievements and share useful pieces of information with visitors. - Appointment Page Variation 2. Using this template, your appointment page can feature a user-friendly schedule besides the booking form. It can let prospects check your free hours and make an appointment when you are available to avoid any confusion. - FAQ Page Variations. In the new package of updates, you can find three different designs of the FAQ page. Now, it's possible to complement the info with visuals and contact block in case readers still have questions. - Offer Boxes. Use these components to display categories of your offerings in a visually appealing, easy-to-navigate way. - Thumbnail Component. Let visitors take a closer look at images on the same page. Rayen thumbnail gives an access to a quick view option on hover. 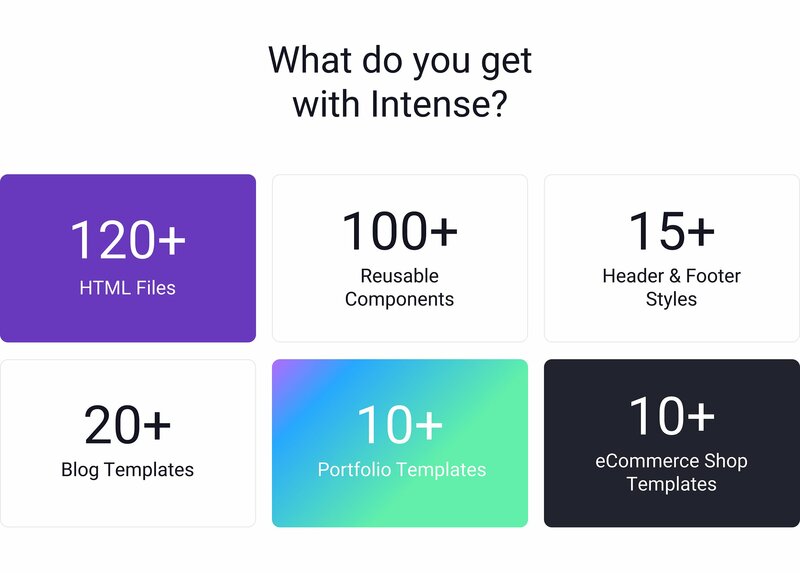 - Form Elements Component. Replace standard checkboxes with elegant toggles in your web forms. - Testimonials Component. 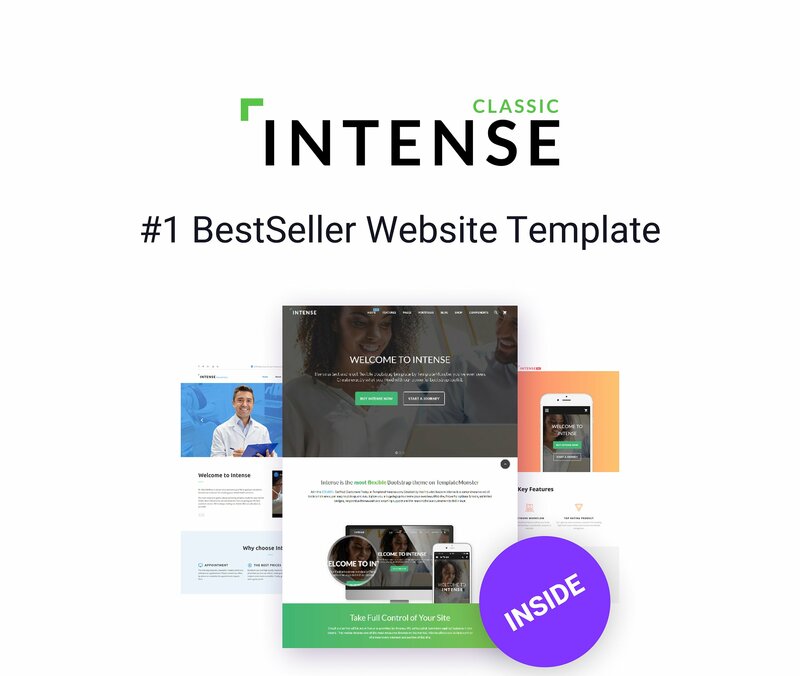 Intense comes with a new slider type to diversify the ways of arranging customers' testimonials on the page. - Updated Documentation. Check out new guidelines on how to use recently added features of the template.